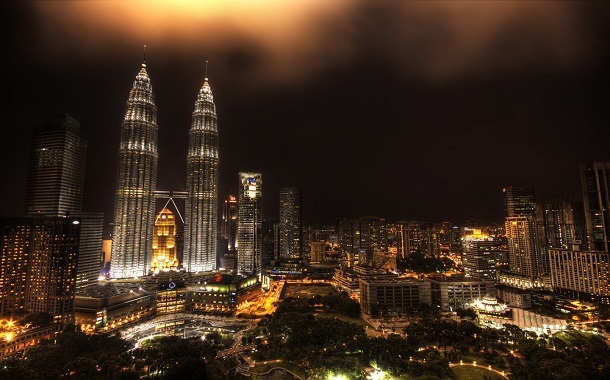 The tall gleaming Petronas towers are the symbol and pride of Malaysia. We’ve all seen pictures of it and we’ve all heard about its beauty. But before you book your flight tickets, get a Malaysia visa and fly on down there to witness its grandeur in person. You might want to check out some of these interesting facts. The architect of the towers choose a postmodern design to create this icon of Kuala Lumpur. However the glass façade of the towers were designed to resemble Islamic motifs, reflecting Malaysian culture. The Petronas towers were the tallest buildings in the world until 2004, when the Taipei 101 in Taiwan overtook it. Currently the reigning tallest building is the Burj Khalifa in Dubai. It cost approx US 1.6 billion dollars to build the Petronas towers. Skybridge. The bridge connecting the two towers on the 41st and 42nd floor make for the world’s tallest skybridge. It took 3 days and 2 attempts to lift the skybridge to its present location. Alain ‘Spiderman’ Robert a French Urban climber who has a penchant for climbing tall buildings scaled to the top of the towers in 2009 using only his bare hands, minus any safety equipments. It took him under 2 hours. The Petronas towers have 88 stories. It has an observation deck on the 86th floor from where you can take in the spectacular view of Kuala Lumpur. The Petronas towers have appeared in the backdrop of many Bollywood songs and movies. Austrian daredevil and skydiver Felix Baumgartner holds the world record for the highest parachute jump from a building. No points for guessing that the building in question is the Petronas tower, Kuala Lumpur. The towers have a total of 32,000 windows! The towers are named after the main occupants of the building. The Petronas, the national oil company of Malaysia.